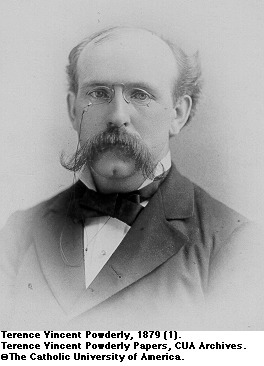 Terence Vincent Powderly Portrait, 1879. 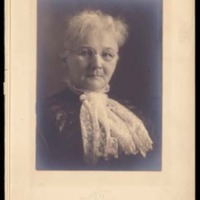 Mary Harris 'Mother' Jones Portrait. 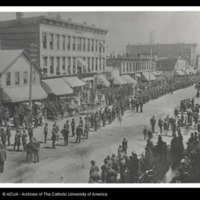 n.d.
Knights of Labor Parade, Colorado, July 4, 1887. 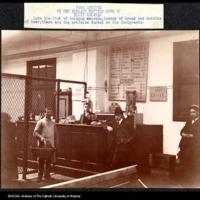 Ellis Island Food Counter, New Jersey. December 18, 1901. 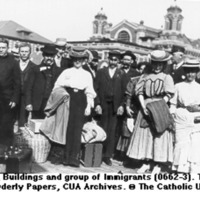 Ellis Island - Buildings and Group of Immigrant. n.d.
Terence Vincent Powderly (1849-1924), who led the Knights of Labor at the peak of its power as Grand Master Workman (1879-1893), and who later held important posts with the Bureau of Immigration (1897-1921), was also an avid and talented amateur photographer. Several thousand of his photographic images produced in the first decades of this century (ca. 1902-1921) have survived in the form of glass and nitrate-base negatives (the nitrate has since been converted to safety film) and as glass lantern slides. Well-traveled in America and Europe, Powderly photographed a great variety of subjects bearing on social, economic, and political life at the turn of the century. Both the great and the humble drew his camera interest. Included in the collection are photos of Presidents Taft and Roosevelt and the events of the Inaugurals of 1909 and 1913, as well as candid shots of the Wright brothers testing their aeroplane at Fort Myer near Arlington Cemetery in Alexandria, Virginia. On his lengthy journeys to many cities in the North and South, he captured the passing pedestrian scene with colorful images of street urchins, construction laborers, dockworkers, street vendors and tradesmen. he accumulated a virtual catalog of monuments and buildings in Washington, D.C and in other cities, many of which are no longer standing. Of especial interest is Powderly's camera work on his trips through the countries of Europe to study the roots of the immigrant problem facing the United States. His photos trace the path of the immigrants from the docks of such cities as Trieste to their arrival at Ellis Island and even in some instances to their eventual place of settlement in America. While there are photographs of old comrades in the labor movement such as Mother Jones, Powderly's photographic work reflects his later career as a government official. His papers do include, however, photographic prints produced by others, relating to his career in labor. Powderly's particular habits and talents greatly enhanced the value of his photograph collection. A meticulous record keeper, he noted the camera type, shutter speed and f-stop on many of his negative jackets and usually gave information identifying his subjects. He had a good eye for an interesting picture. In the words of Shirley L. Green, an expert on historical visuals, "Powderly was a photographer of uncommon skill and professionalism. He seemed to be instinctively aware of what a good documentary photo was before the word 'documentary' became fashionable."